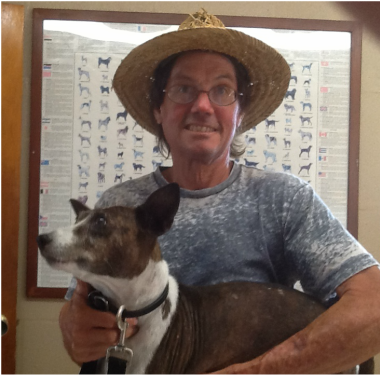 Kevin Stuart, owner of Straw Hat Lawn and Landscaping, is pictured with his dog, Raquel, a 15 year old Basenji. The Basenji, also known as the lion dog, is a relatively uncommon breed know for being "barkless." Kevin and his wife, Jennette, have been long-term clients of Bay Animal Clinic. At this time, they own five Basenjis along with their cats. Of interest, Kevin was a former brew master at Dixie Brewing Co. of New Orleans. To be a future "BAY ANIMAL CLINIC's Client of the Week" please visit the clinic and mention our website or Facebook page.